I agree with the fact that social networks helps an NGO evolving, but its not a reliable and safe source. On the internet a subject can receive major interest today and tomorrow everybody will forgot. Social networks are like a circle made by information which orbits always. Think about the IceBucketCheallenge which was a huge campaign on the internet one month ago and now almost everybody forgot it. This applies for PAGE too. My opinion is that the more people involved the better. I am not saying that they should neglect this aspect at all, but it’ll be prolific for them if they will try to establish connections with business and companies with the same core values as them. An NGO and a company can help each other. 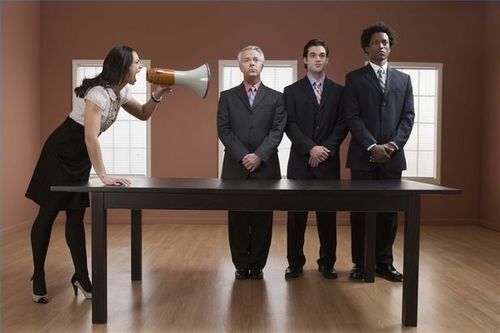 The company can be a donor or a source of human resources but maybe you think “How the NGO can help a company?”. For example, my beliefs for PAGE are that they can be a source of advice and guidance. The cause for this NGO is not a world wide issue so they have to act on the local region. I did some research and in less than five minutes I found 9 big companies in the Asheville region. So there are possibilities to ask for help. It is not necessary to give money to the NGO, they can give them products or helping them in another ways, which will be also helpful. One of my idea busted when I found a stationery factory, close to their region. 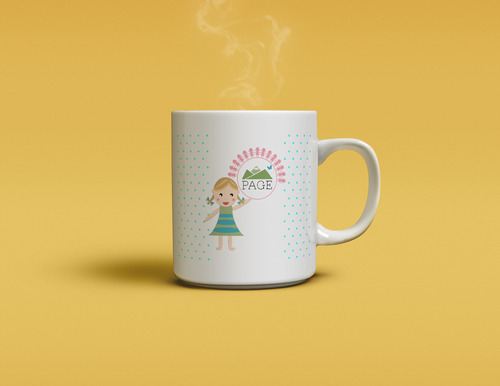 PAGE can create a brand which can be sold and part of the amount can go to the NGO and the other to the factory. Many factories practices that. In this way the factory will ear the trust of the customers. Another idea can be based on a change. Because everywhere is a leak of workforce and also people hardly find a job, the companies can help the girls to develop strong knowledge and then help them and give them a job. This will be helpful for the girls to create a future and also for the corporation because they will have well-prepared people. Is still hard to say what will help PAGE , but I am sure that a real contract between them and a company/ factory will be a major aid in their development. it is a marketing relationship in the end. With the team we tried to cover all the possibilities and give PAGE a large view of what they can do. I am happy that I worked with a really great team and we completed each other and the result will be useful for PAGE. To show you one example, this is one of the branding thing that I thought and created for PAGE and also a sneak-peak for what will be in the final video. Networks and online communities can be extremely helpful when having to share your work, whether you are just a student, or a professional working person, it is a requirement, in this society you need to make your work public so you can get feedback and reviews, but most important, people can identify with you and support your work. Of course, I am talking from a personal perspective, but looking from our NGO’s point of view, they have social networks, but they don’t use them properly, and they don’t get involved with possible donators within the same networks, so in conclusion, they have a very little amount of awareness throughout the social media for all the time they have been using it. When designing a platform for social media, as a designer, I will first think of simplicity and elegance. Every tool for raising awareness, personally or as a company, should be totally intuitive so every person can use it. If you look at Facebook, for example, it has so many options and ways of doing things, all of the menus and the pop ups distract people from the real matter, and there are persons that are completely clueless about how to do some things inside Facebook, like creating a group instead of a page. Most important thing here is to make the user feel comfortable with the tool/platform. Most of what I want to learn is slightly related to this topic, but not so much, actually. If I had to do something related to social networks and communities, I would love to learn programming languages to create platforms. I love when I use online tools that actually allows me to do something different than the other tools. Extra features are awesome. Finally, I would add that if you objective is to raise awareness through social media, consider first looking for non common platforms that allow you to manage and improve your actual social accounts. Crowdsourcing is the online gathering of a group of people to share knowledge and wisdom to build a better product. Same as crowdsourcing, only that the community involvement moved into the financial arena. I find tools for raising awareness of your *insert here whatever you want to raise awareness to* very effective if you actually know how to use them to the purposes you want to achieve. In the particular situation of an NGO, this tools can be of huge help to raise awareness and money coming from donations, you expend almost no money and you have a platform full of donators to see in which project expend their money next. For that, of course, the proposed project that is target for donations should be attractive and beneficent for the donors and for the causes they share with the NGO. I am not saying that depending on your cause is the success of your campaign, but it kinda is, because if you are doing a stupid thing that works for nothing and benefices no one, well, it’s more likely you will get no donations at all, but of course, like everything in this world, things get weird and maybe those projects can be successfully founded or known. I think most of the work is done when the project or cause is fixed and the branding (or whatever they called branding) has been done. If you have a relevant cause combined with a nice, clear way of explaining to people why is this important for them, and for you, you’ll certainly have you project/cause funded within no time. When it comes to design, I think crowdsourcing is a very good way to have feedback on your product/project and to make it better from that feedback. A lot of good things can develop from crowdsourcing as a designer, like having a previous backup before you launch your product, people will want it before it actually exists; improve your product based on users critics; gain awareness for your product; and helps shaping the way this product is going to be born in the outer world. On the other hand, there are also bad things that can happen when crowdsourcing, like having your work stolen and made by someone else that saw your idea, and had the means to do it right away, and since you have no rights on the idea because it’s barely complete, then you will have to let a maybe great idea go away. I am personally selfish with my ideas, and I don’t tell a lot of people about them, because I am really afraid that someone will steal them. Maybe my ideas aren’t that great and maybe I really don’t have to worry about them getting stolen, because they are like an ugly child no one wants to kidnap, but still I have lived it before, and from that moment on, I decided that won’t happen to me again ever, so that has shaped me as a reserved person. I don’t have boundaries when creating, but I do have boundaries when sharing the ideas (where am I sharing them and with whom). Apart from my personal experience, I say thumbs up for crowdsourcing and their money equivalent, crowdfunding. Why? Because this kind of platforms are the ones that make great things possible. On my personal opinion, the size of the groups depend on where this groups belong. My (small) group and I were discussing this during todays class at Project Communities and we noticed there are some cases, like inside a dance class, where the bigger the group the better; but for working/studying environments, small groups will always work better. I find my (small) group as a completely functional environment where every time we set a meeting we know we are going to work in that meeting, and not to chit chat around and waste the time. I find everyone in this group useful and necessary to achieve our goals. Of course, that can only be in a small group, because in a big group there will always be persons that can be substituted and others that will not work at all. Another important thing when making groups is the culture of each member of the team. Culture can play a very important part when it comes to choice making and with the process of thinking and brainstorming. In our group, for example, we have Paul who is from USA, just as our NGO, PAGE, so he can give us a more objective view about the solutions, because he knows the current situation in USA, and how do most people react towards our NGO’s situation. Sometimes, being assigned to a certain group is difficult, and even more difficult is having an assigned group with a fixed cause/task/goal. When you have to work together with some other people to achieve something at the end, and not all the members of the group are fully committed to the goals that had been defined, working harmoniously and smooth will definitely be a problem. Maybe this doesn’t applies entirely to our group, but I can speak for myself when saying I would have never worked on this if I hadn’t been assigned to it. In this case I am good with it because I am still a bachelor, but if I hit into this same bump in my professional life I will be very pissed off. In my opinion, when working in a profesional environment, if you obligate someone to join your group and your cause, without this person sharing your ideals and goals, this would be the most useless person in the history of useless persons. 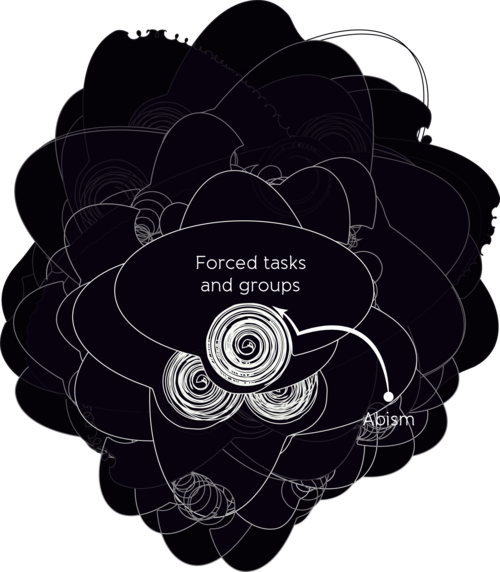 Forced tasks and groups should be kept hidden on the abysm pits from where they come from. So far, my group has functioned very well, we are all committed to the cause, despite if we share it or not, and we are all busting our brains to really make something different. I think we may achieve that goal at the end of the first term, when we need to handle in our video. We still have a lot of work to do, but the progress is palpable. So far we have thought of a lot of ideas to apply to our NGO’s current situation in order to make it better. Some ideas remained and some were thrown away. Now it’s up to us to test the testable ideas, and see if they actually work or not. Of course, this is optional, but I totally think we should test them to propose to PAGE solutions we are confident that will work, and not just ideas that she will invert time and effort to see they just don’t give the desired results, or they weren’t what she expected. SO how do we get the word out? Just browsing I did find an article on e-how about how to get your non profit organization known… lets just say desperate times desperate measures ay. Their idea’s weren’t bad, considering they follow the traditional way to get an unknown non-profit organization known. Mail, radio, television billboards, buses, etc. It got me thinking about a technological platform…. side note: A technological tool i’ve been using is tagging. Which is such great way to get things known on tumblr or even instagram (another social medium that could be used.) I use tag words that are vague that I know a lot of people will look up.